So what’s the going rate for a 132-room, 55,000-square foot mansion with 18 acres, 16 family-guest rooms, three kitchens, three elevators, 28 fireplaces, and an underground bunker? Oh, and we forgot to mention: The president happens to live there too. Apparently the White House can’t seem to escape the sagging housing market either. 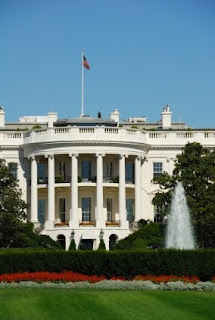 In the last year, the posh 1600 Pennsylvania Ave. address dropped in value by 5.1 percent—from $308 million to $292.5 million, according to a recent post on Zillow’s blog. That is a slight improvement over 2008, however. In 2008, the White House dropped in value by 7.2 percent. Overall, homes across the country have decreased in value by about 5 percent the past year, according to Zillow. So sellers shouldn’t feel too bad–even the White House isn’t immune. www.wheredreamscomehome.com and start your search today! Tulsa’s housing market may be seeing a full-blown recovery. Recent statistics released by the Greater Tulsa Association of Realtors indicate Tulsa saw 1,025 residential closings in 2009, a 49-percent increase over November 2008. The average Tulsa MSA sales price gained 11 percent during the same time. Wow! I love seeing articles like this! (and this only a small portion of the article.) With the first time home buyers $8,000 tax credit being extended and the $6,500 tax credit to home buyers that have lived in their home for the past five years, it is a great time purchase a new home! Despite a slow market and a slight decrease in the resale value of most remodeling projects, Realtors® report that the smartest home improvement investments may also be some of the least expensive. Results from the 2009 Remodeling Cost vs. Value Report show that small-scale exterior projects are the most profitable at resale, according to estimates by Realtors who completed a recent survey. On a national level, eight out of the top 10 projects in terms of costs recouped were exterior replacement projects that cost less than $14,000. Certain types of door and siding replacements, as well as wood deck additions all returned more than 80 percent of project costs upon resale. A steel entry door replacement – a new addition to this year’s list – recouped 128.9 percent of costs, followed by upscale fiber-cement siding replacements at 83.6 percent. Wood deck additions recouped 80.6 percent of costs. "Once again, this year’s Remodeling Cost vs. Value Report highlights the importance of a home’s first impression," said NAR President Vicki Cox Golder, owner of Vicki L. Cox & Associates in Tucson, Ariz. "With exterior projects returning a high percent of project costs upon resale, Realtors can help give your home curb appeal while adding value to the real estate transaction." The 2009 Remodeling Cost vs. Value Report compares construction costs with resale values for 33 midrange and upscale remodeling projects comprising additions, remodels and replacements in 80 markets across the country. Data are grouped in nine U.S. regions, following the divisions established by the U.S. Census Bureau. This is the 12th consecutive year that the report, which is produced by Hanley Wood, LLC, was completed in cooperation with REALTOR® Magazine, as Realtors® provided their insight into local markets and buyer home preferences within those markets. On a national level, the project with the biggest improvement from 2008 was the attic bedroom addition, recouping 83.1 percent of remodeling costs compared to 73.8 percent in 2008. The only other interior project that landed in the top 10 was a minor kitchen remodel with 78.3 percent costs recouped. Other exterior projects in the top 10 include midrange vinyl and upscale foam-backed vinyl siding replacements, which returned more than 79 percent of costs. In addition, several types of window replacements – midrange wood, midrange vinyl, and upscale vinyl – all returned more than 76 percent of costs upon sale. Similar to last year’s report, the least profitable remodeling projects in terms of resale value were home office remodels and sunroom additions, returning only 48.1 percent and 50.7 percent of project costs. Sheryl Chinowth, CEO of Chinowth & Cohen Realtors, announced that Cindy Manchester has been named Director of Relocation & Business Development, Ben Beresh has been named Director of Marketing, and Bud Engstrom has been named Manager of the South Tulsa Office. In her new role as Director of Relocation, Manchester is responsible for growing the company’s relocation business by developing and managing relationships with brokers, real estate referral networks, and third party corporate relocation providers. In addition, she will continue to expand Chinowth & Cohen Realtors relationships with local businesses in need of relocation expertise. Most recently Manchester was Director of Sales and Training for the South Tulsa Office of Chinowth & Cohen Realtors. In addition to her State certification as a Real Estate Trainer, Manchester holds her Broker’s license in Real Estate. Manchester also has a background in international sales and business development. A native of Niagara Falls, Canada, Beresh has lived in Tulsa for over 10 years. After earning a Bachelors of Science in Marketing from Oral Roberts University, Beresh worked as Studio Manager for Next Level Recording Studio, as Project Manager at Winnercomm Inc., as the Director of Creative Media at Sanctuary Church. Most recently he served as the Executive Event Director for Dfest Music Festival, Oklahoma's largest music festival. As Director of Marketing, Beresh is responsible for the overall brand management of Chinowth & Cohen Realtors. He is to oversee all aspects of print, television and electronic media placement and also to develop branding strategies to increase market share and sustain profitability. In his new role as Managing Broker of the South Tulsa Office for Chinowth & Cohen Realtors, Engstrom is responsible for managing over 150 Associates and providing consultation on all aspects of the residential real estate transaction process from the initial documentation to close of sale. In addition, he continues in his role as Director of Recruitment and Training, in which he is responsible for growing the Associate base and overseeing the operation of the Greater Oklahoma School of Real Estate. 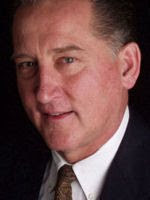 Engstrom, licensed since 1978, an Educator since 1983 spent 20+ years as Director of the Oklahoma Real Estate Academy. In the past, he has served on numerous local and state REALTOR committees. Appointed by the Governor and confirmed by the Senate in 1999, Engstrom served two terms as Oklahoma Real Estate Commissioner and was elected Chairman in 2001. Currently, he is chairman of the Oklahoma Real Estate Commission’s Education Advisory Committee and a member of the Oklahoma Real Estate Commission’s State Contracts Committee.